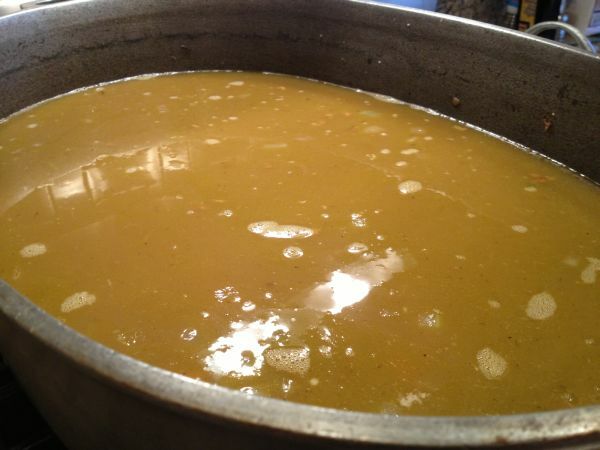 So it is soup season you know! 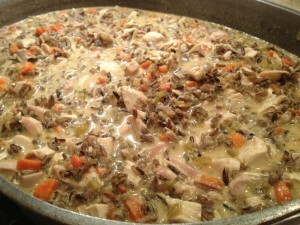 Once a year I prepare one of my all time favorites “Creamy Chicken Wild Rice Soup”! 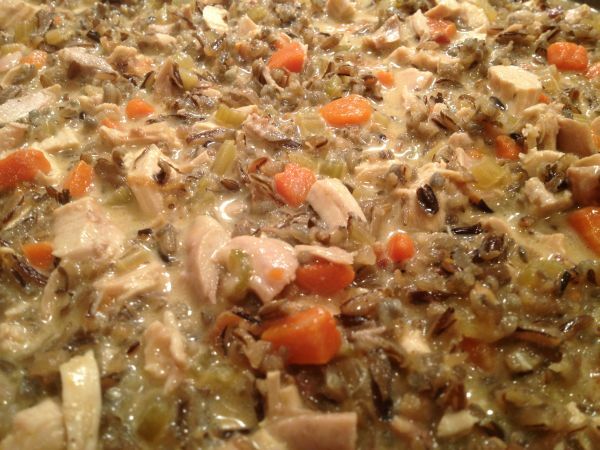 It just such a wonderful warm comfort food that tastes oh so good on a chilly day! This is one of the first dishes that friends had ever asked for the recipe. 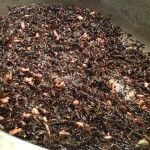 I’ve been making for years and hope you enjoy it as much as we do! 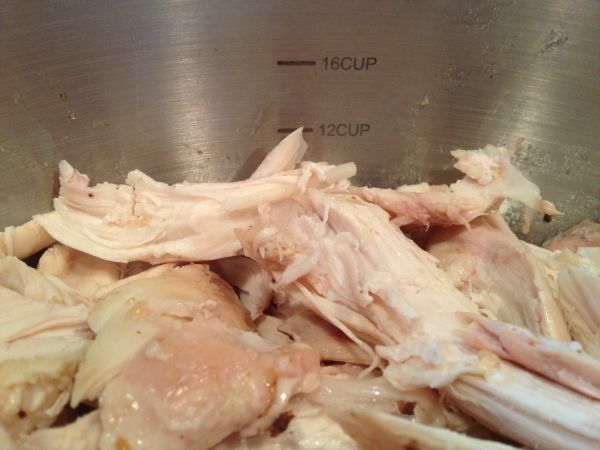 As with most of my soup recipes, this could be easily cut in half. 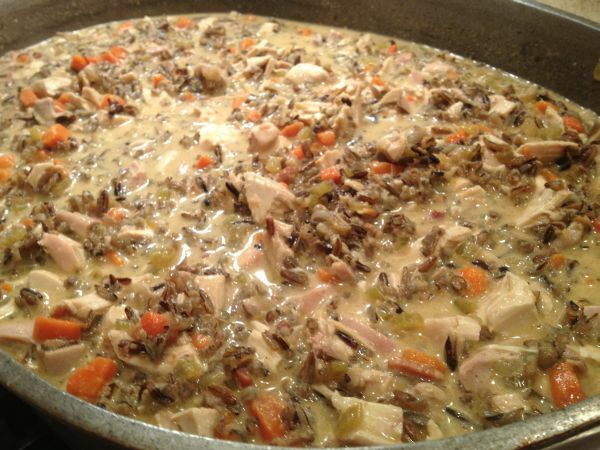 I tend to share and always freeze some for another meal, so I figure if I’m going to go through the work of creating this scrumptious dish, I may as well make plenty! 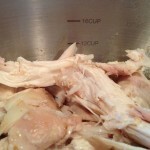 In this soup, the homemade chicken stock is a must for optimum flavor and I encourage buying the cooked rotisserie chickens! 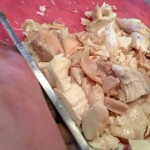 Let someone else do the work and besides, at Costco they have the biggest and the best tasting chickens in town for only $4.99! 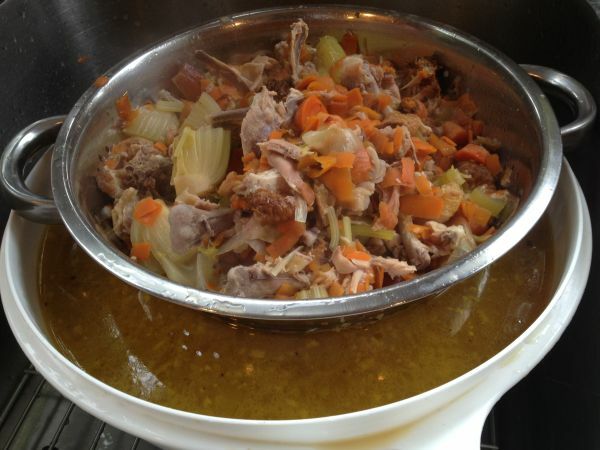 Remove all meat from store-bought cooked chickens, retaining skin and bones to make your own chicken stock – (click on the link as the stock is an important step in this recipe for optimum flavor!) 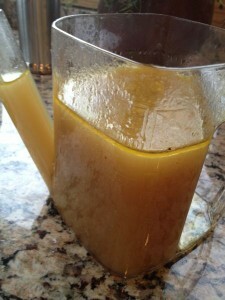 Add all clean vegetable scraps to the stock as you chop the celery, carrots, and onion. 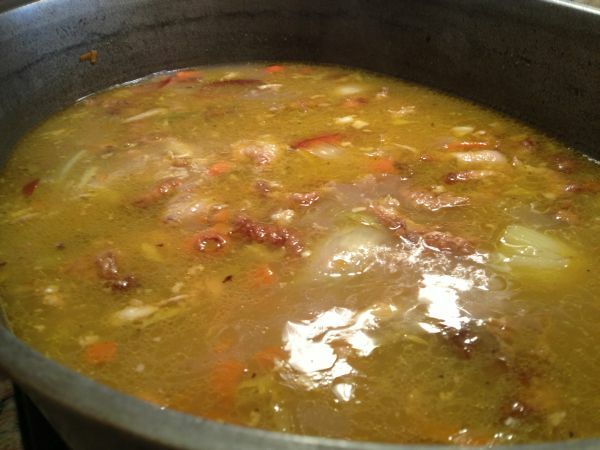 Cook for a minimum of one hour. 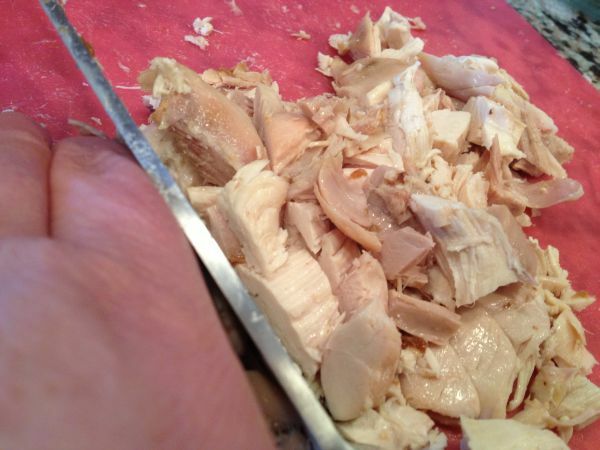 Chop chicken into nice nickel-sized chunks and store in the fridge. 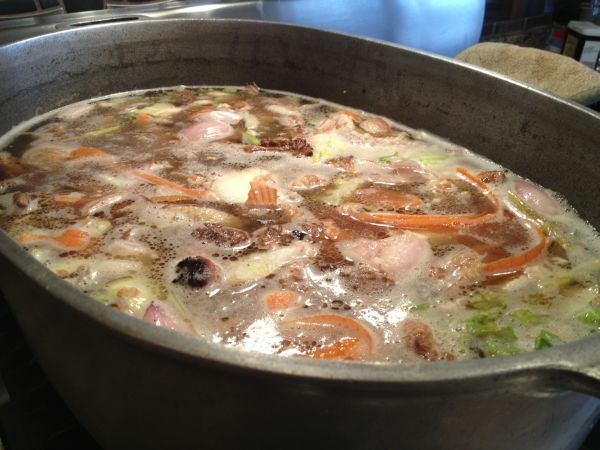 While the chicken scraps are boiling in water over medium-low heat, clean, peel, and chop vegetables into small dime sized or smaller pieces. 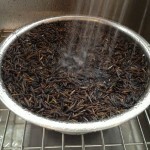 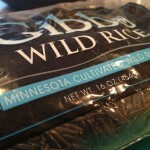 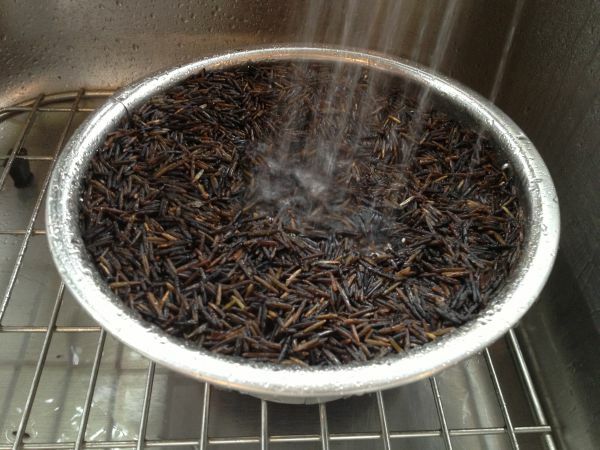 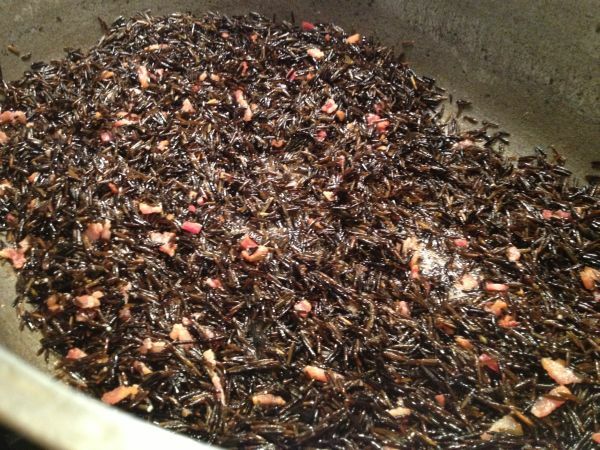 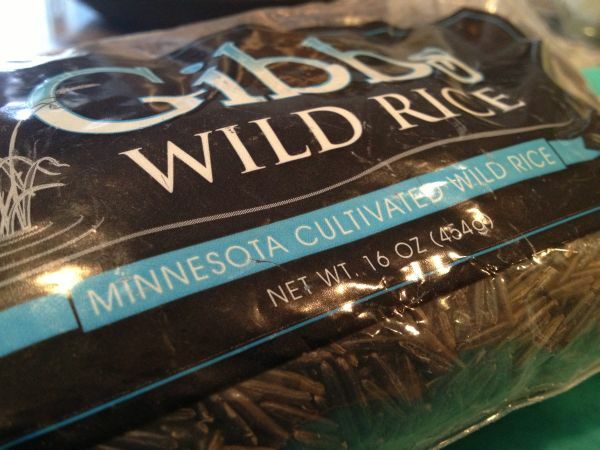 Rinse wild rice in cold water and allow to sit in the colander so that excess water is removed. 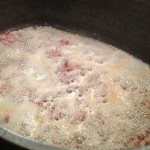 While your stock is processing, cook bacon in butter until browned. 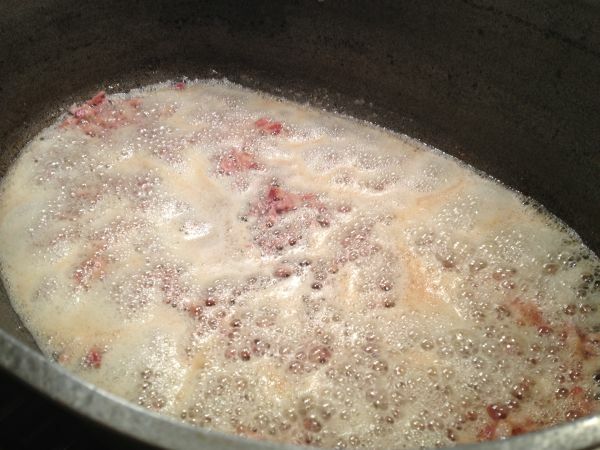 Add rinsed rice to the bacon and saute stirring frequently for about five minutes. 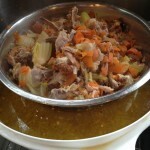 Add the carrots and celery. Cover and cook for about 10 to 15 minutes stirring often and until vegetables become somewhat soft and the onions have become translucent. 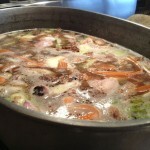 Add pressed garlic and stir cooking for an additional minute before adding stock. 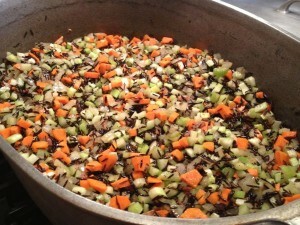 Cover and stir frequently allowing rice to cook about two hours stirring occasionally Add soup base to taste for flavor. 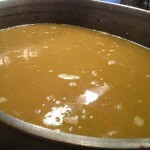 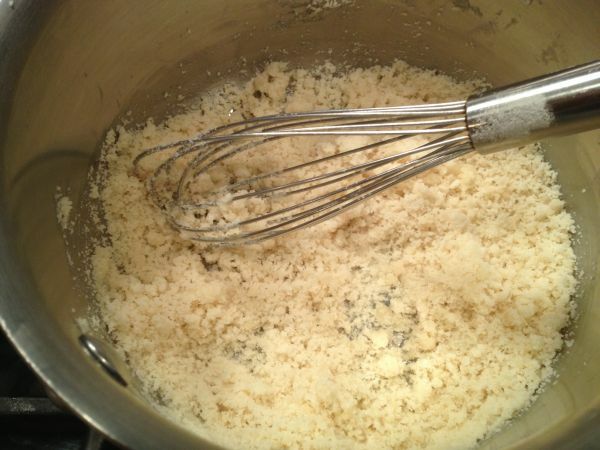 Make a roux with flour and butter in a small saucepan. Cook for about three minutes before adding the milk. 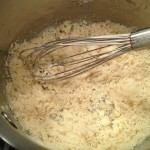 Stir constantly to dissolve all of the flour and simmer over low heat stirring until thick. 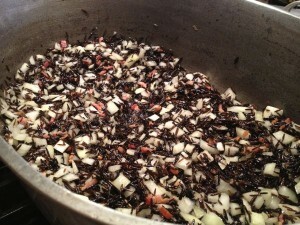 Garnish with slivered almonds, or enjoy with crackers if you prefer!